Pineapple fritters are occasionally served as snacks or dessert. They are easy to cook and can be prepared with only a few ingredients. If you have some guests over and do not have much time to cook something else then this is the best dish which you can serve. 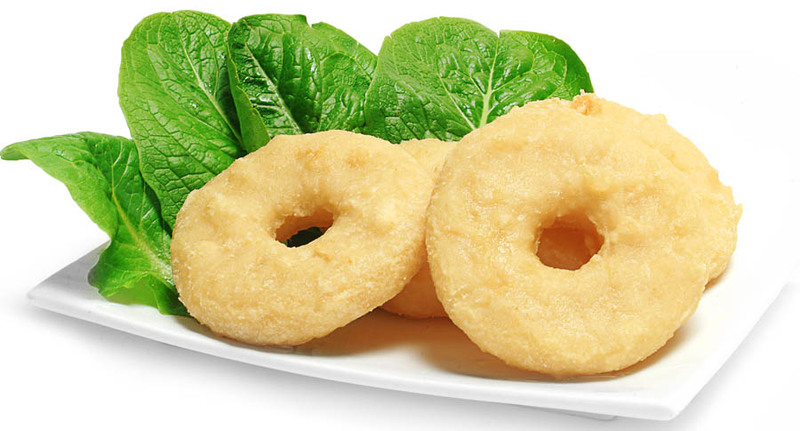 The ingredients used for making these fritters can be easily obtained from any store nearby. You need to take a bowl, wash it thoroughly and then add one cup of flour, a tablespoon of sugar and a half teaspoon of salt and then make a mixture of these ingredients by mixing with the help of spoon. Once the mixture is ready, set it aside. Now you need to mix an egg, a cup of milk and two tablespoons of oil. If you are concerned about your health, you can use olive oil or vegetable oil instead. Now keep mixing with a spoon till the time you attain a proper mixture. You now need to put both the mixtures in the same bowl and start beating them with a fork. Keep beating till the time you get a smooth mixture which does not have any lumps. You now need to put oil in a pan and heat it in order to fry the fritters. Now open a can of pineapple rings and then after draining them, dip the rings into the mixture, remember to dip the rings one by one. After you dip each ring in the mixture, it then needs to be placed into the pan with the heated oil. You now need to fry each pineapple fritter till the time you see a golden brown colour. If you like crispier fritters then fry till the time your fritters become dark brown. However, if you like them a little tender, take them out when they become light golden. Take the fritters out with a spoon and lay them on paper towels in order to drain the oil in them. It is suggested that you serve them while they are still warm.